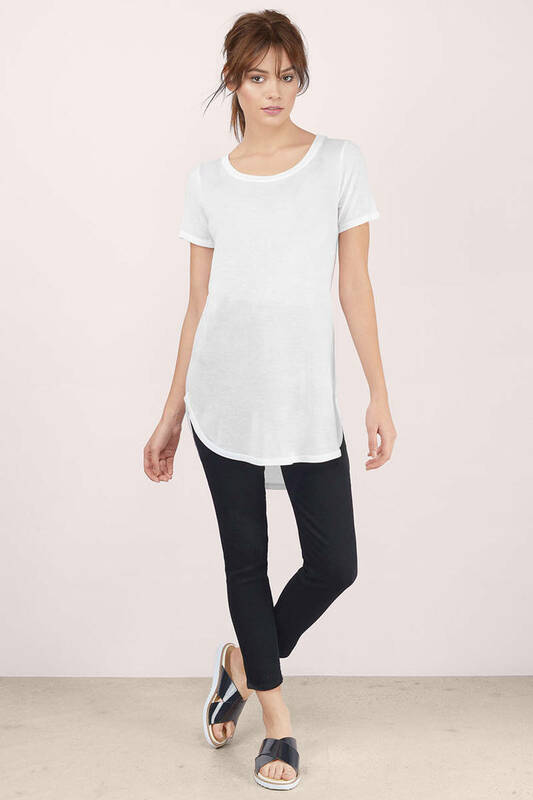 Check out Tobi's Jetsetter Scoop Hem Tee Go easy in the Jetsetter Scoop Hem Tee. 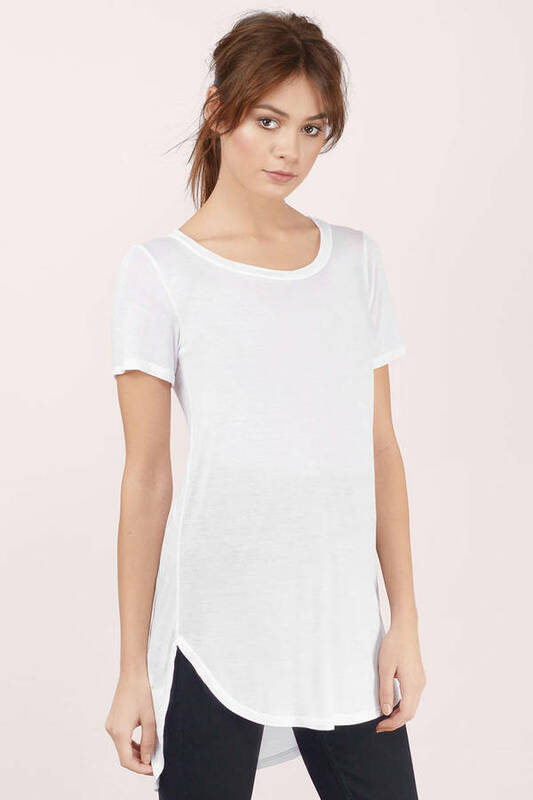 Scoop neck t-shirt with a curved high low hem. Tuck into a skater skirt or wear over ripped boyfriend jeans. Go easy in the Jetsetter Scoop Hem Tee. 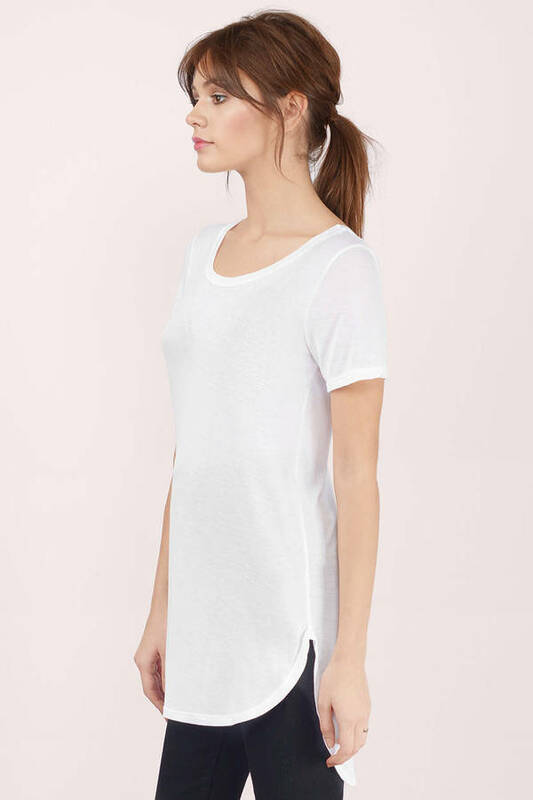 Scoop neck t-shirt with a curved high low hem. Tuck into a skater skirt or wear over ripped boyfriend jeans.